​Natural aggregates (crushed stone, sand and gravel) and industrial minerals are among the most abundant natural resources and a major basic raw material used by construction, agriculture, and industries employing complex chemical and metallurgical processes. Low in cost, natural aggregates are a major contributor to and an indicator of the economic well being of the Nation. Road construction utilizes most of the aggregate produced in Illinois. This includes crushed aggregate in concrete and asphalt pavements and drainage base under roads and sewers as well as parking lots and sidewalks. 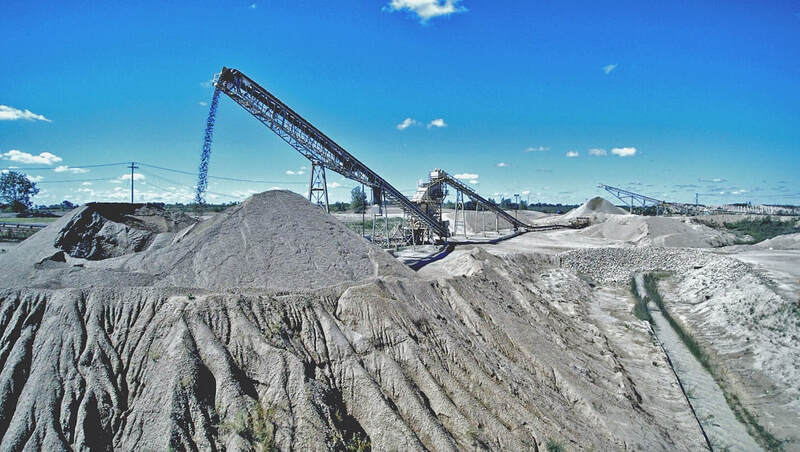 A significant amount of aggregate goes into Portland cement and concrete for bridges, buildings and pre-cast blocks, also riprap for erosion control and railroad ballast. Sand and gravel are also used as a filter medium to treat sewage in a septic system. Limestone and lime are used in foods and medicine, steel and paper manufacturing, and can remove pollutants before they escape into our environment from coal-fired power plants burning high-sulfur Illinois coal. Aglime is used as a soil conditioner in agriculture production. It neutralizes soil acidity for better fertilizer efficiency thereby increasing crop yields and facilitating sustainable food production. Silica sand is used in a variety of products like frac sand, industrial abrasives, glass and computer chips. 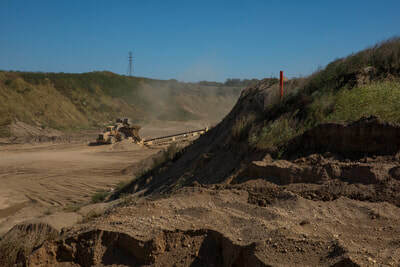 Other uses for silica sand include golf course sand traps, playground sand boxes, pool filters, and at drinking water treatment plants in many communities. Learn more about rocks and minerals in our daily lives. ​According to the Illinois State Geological Survey, the mining sector employment multiplier can be assumed to be 1:3. That is, three additional jobs are created for every job in the new mine. Construction aggregates are sold mostly within 20 to 30 miles of the mine, so jobs are local and wages stay in the community. In dollar terms, the multiplier varies from 2.5 to 3, depending on differences within the mining sector. Although wages in coal mines may be higher than in aggregate mining, it is fair to assume that the overall dollar multiplier is $2.50 to the Illinois economy for each $1.00 spent for mining. Road construction is the main use for aggregates. The Federal Highway Administration has estimated that every $1 billion of federal highway investment, plus the state match, supports 34,800 jobs. Analysis of the latest U.S. Census Bureau data shows the design, construction and maintenance of transportation infrastructure supports the equivalent of 129,014 full-time jobs in Illinois. Nearly 8 tons of aggregate are required annually for each Illinois citizen. Constructing an average-sized home requires over 400 tons of aggregates. 15,000 tons of aggregates or more can be used in constructing a school or hospital. The Willis Tower (aka Sears Tower) in Chicago has enough concrete, crushed stone, sand and gravel in it to pave 8 one-mile lanes of interstate highway. 7,205 tons of coarse and fine aggregate are used in concrete for each mile of a two-lane concrete highway (24’ wide and 12” deep). One mile of a four-lane interstate highway used about 38,000 tons of aggregates. Aggregates make up more than 94% of asphalt and 80% of concrete pavements. ​The industry is committed to supplying quality, cost-effective construction aggregate and industrial mineral materials and has embraced recycling of concrete and asphalt as well as utilizing fines materials that would otherwise be considered waste. Some aggregate mines are accepting clean construction and demolition debris and soil as fill thus diverting these materials from landfills. Mining companies provide jobs, tax revenue and support for local communities. They are committed to educating the public about why aggregates are essential to our standard of living and can be removed from the Earth in a sustainable, responsible, and environmentally sound manner. Mined land remains valuable. Once reclaimed, sand & gravel mines and stone quarries are converted to another useful purpose. Some become water reservoirs or recreational lakes and can be utilized for flood control. Others become community parks, wildlife habitat, agricultural fields, forest, or converted to attractive subdivisions for residential homes and businesses. A fine example of mine reclamation benefiting the local community can be found on the southwest side of Chicago. Palmisano Park was once Sterns Quarry and is now maintained by the Chicago Park District. 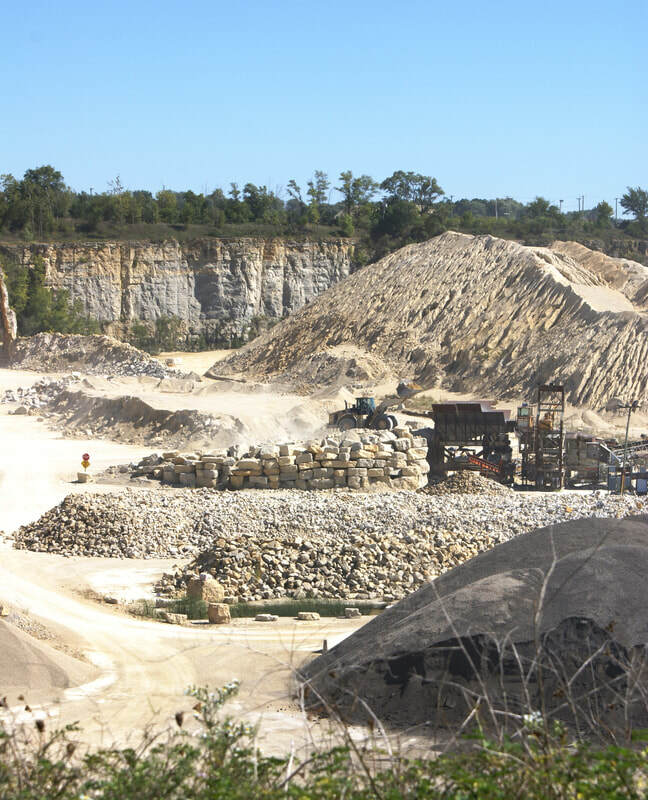 ​Federal law mandates that two thorough health and safety inspections are conducted each year at every surface non-metallic mineral mine, which includes aggregate and industrial mineral mines; underground mines are inspected four times each year. However, inspectors from the Mine Safety and Health Administration can inspect a mine more often and at any time. The mineral mining industry has significantly lower accident and fatality incidence rates than other major industries such as agriculture, forestry, fishing, construction, manufacturing and transportation. Within the overall mining industry, the non-metallic mineral mining category consistently has lower accident and fatality incidence rates compared to mining for coal, metals, oil, and gas. 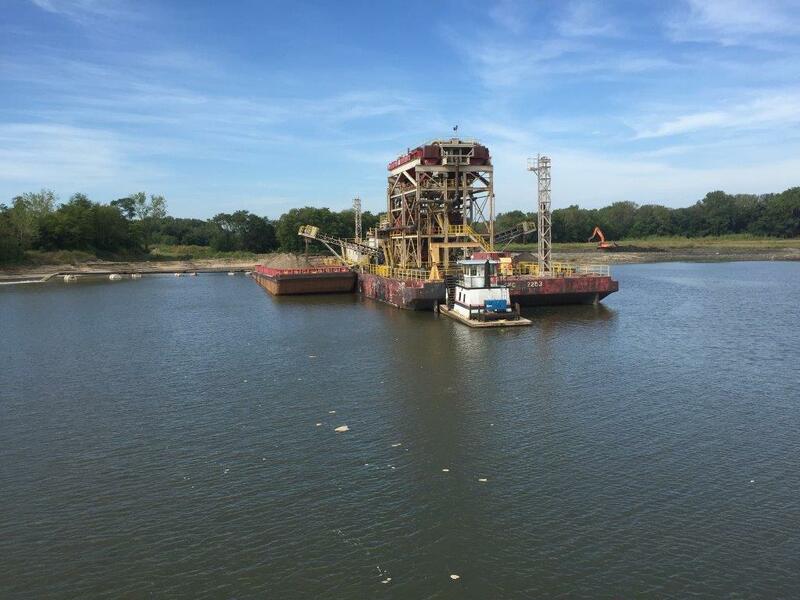 In addition to ensuring mine worker safety, a mine operator must obtain permits and comply with strict regulations that control land use and limit pollution to the air and waters of Illinois. 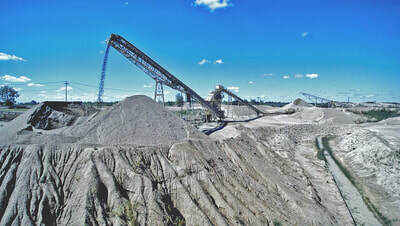 Depending on the size and type of mining operation, a mine may be required to obtain a land reclamation permit from the Illinois Department of Natural Resources and comply with state blasting requirements, obtain air and water pollution control permits from the Illinois Environmental Protection Agency and comply with zoning, and in some jurisdictions, sub-surface water quality monitoring requirements set by municipal or county agencies.